Baby will be more likely to settle down and start to learnor create works with a cuteset! 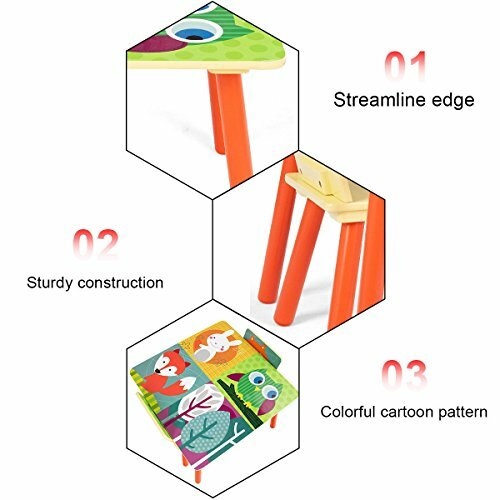 The appropriate height, smooth surface andround edges are comfortable for them to sit. They don't have a fear of topplingover because of stable MDF and high-quality connectors, or being hurt by sharpcorners. 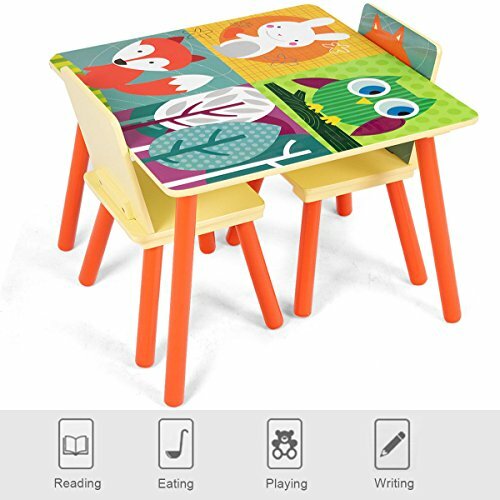 Cartoon themed table and chairs set is perfect for toddlers and youngchildren who can sit unaided. The set is an ideal item for placing at home,playroom, kindergarten, nursery etc. Children can use it to do all kinds of daily activities.